Presented by Seacoast Science Center. Online registration has now closed, but you can still register! You can register by coming to the Seacoast Science Center during early check in and bib pick-up on Friday 4/19 between 2:00-7:00pm, or the morning of the race from 7:30-8:45am. The race begins promptly at 9am. We hope to see you there! 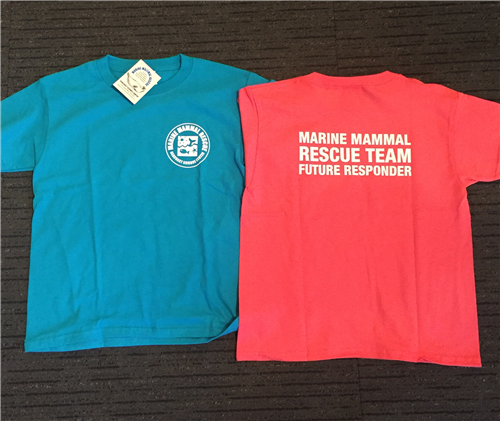 Help support our marine mammal rescue team in the efforts to rescue and protect marine mammals on our beaches, and collect data and photos from deceased animals. No amount is too small; thank you for your help! **The free shirts given to the first 175 5k registrants are gone, but you can still purchase one! ** For the 2nd year, we are offering moisture wicking performance t-shirts, instead of cotton! The shirts are neon yellow with navy blue ink.